Sour flavors are a common flaw in many home brewed beers. Outside of a handful of sour beer styles, most sour flavors are undesirable. This week’s article on sour beer is part of my ongoing series on off-flavors in beer including the previous articles on Diacetyl, DMS, and Esters, Phenolics and Tannins as well as my article on judging beer. Sour flavors can come from several different places. The most frequent cause of sour off flavors in home brewed beer is a variety of “bugs” which is a common brewers term for infections by wild yeasts and bacteria. These bugs can enter your wort or beer at just about any point in the brewing process after boiling, including during cooling, transfer or fermentation. The most common actual souring agent in beer is Lactic Acid, which gives a distinctive sour flavor. Lactic acid is produced by Lactobacillus, which is a bacteria actually used in many sour Belgian beer styles. You can purchase Lactobacillus as a separate culture from major yeast suppliers if you want to produce sour flavored styles such as Flanders, and it is added to the secondary. 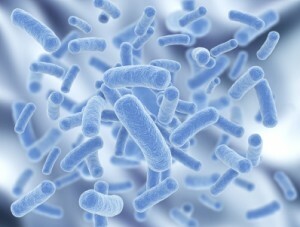 Lactobacillus is also used to create yogurt as well. Unfortunately it is also a common wild bacteria found just about everywhere – so if you are not careful with sanitation it can easily make its way into your wort or fermenting beer. Another source of lactic acid (sour) in beer is Pediococcus, which is also a bacteria. Pediococcus, however, also produces a buttery flavor as a byproduct similar to those described in my article on diactyl. So if you get a combination of sour and buttery flavor you likely have a Pedio infection. A final common bacteria is Acetobacter. Acetobacter produces acetic acid instead of lactic acid. Acetic acid is the major component in vinegar so it if you have a strong vinegar flavor in your beer it is very likely due to Acetobacter. Interestingly, acetobacter requires both the bacterial infection to occur and also requires oxygen to grow. So in addition to having poor sanitation, you would need to have oxygen present in the beer, either by infecting the wort before fermentation has taken place or by aerating the beer during fermentation or transfer. So if you get a vinegar tasting beer, you need to check both your sanitation procedures and also be careful not to add air to your beer once fermentation has started. Bacteria is not the only cause for sour off flavors. Brettanomyces (also called Brett for short), a wild yeast, causes a sour off flavor sometimes also combined with estery (fruity) flavors. Brettanomyces is a wild yeast that often thrives on the skins of fruit, and it is not uncommon to have some Brett added when you add fruit to beers. Brett is also available as a liquid yeast culture from major suppliers and used primarily in fruity sour beers such as Lambic and Gueuze. Other related wild yeasts can certainly cause sour off-flavor,often with hints of fruity esters. Again proper sanitation is your best defense. As a final note on sour off-flavors, if you get a strong astringent, grainy or bitter flavor in your beer, it can be perceived by some as sour. These flavors are technically not considered sour off-flavors and are instead characterized as astringent. If you want to learn about the causes of these flavors take a look at my earlier article on Phenolics and Tannins in beer. You may have noticed a common theme in this article – all sour off flavors are caused by a variety of “bugs” including both bacteria and wild yeasts. So if you have a batch of beer with an unintended sour profile, the cause is almost always poor sanitation at some point in your brewing process. This could include poor sanitation when cooling the wort, fermenting it, adding ingredients to the fermenter, sampling or measuring the beer, transferring it or bottling/kegging it. Since many of these bugs are voracious consumers of a variety of sugars they can even infect your beer very late in the fermentation process and still sour your beer. The best defense is simply good sanitation. Make sure your equipment has been cleaned well before use, and then always sanitize it with a sanitizing agent immediately before it comes in contact with your wort or beer. Many brewers that intentionally brew sour beers actually go so far as to separate their equipment (particularly plastics) used for sour beer brewing from their regular equipment to reduce the chance of infection. Thanks for joining me again on the BeerSmith home brewing blog. Please check out my podcast and also join my newsletter for free weekly delivery of home brewing articles to your inbox. Thanks for the refresher course. We brewers tend to get lazy or over confident with our practices which invites the bugs right in. For those of us who practice extreme sanitation, what do you think about liquid yeast suppliers selling contaminated yeast? Or just the fact that some yeasts may be slightly sour by nature? I’m trying to figure out where to point the finger. Liquid yeast suppliers are unlikely to sell you contaminated yeast. More likely is that you could fail to sanitize the outside of the yeast package before opening it, or just not be handling your equipment sanitation as well as you could. Also exposing your beer to air can invite wild yeasts. Most Belgian Whites are not sour unless you used wild yeast. Even tough you may practice excellent sanitation, you may also get a batch with sour off flavors due to fermenting long periods of time at low temperatures. Found this article on eZine, it’s a pretty good beginners guide to discovering off flavors and their possible causes. I’ve made a few of these mistakes myself to be honest. I don’t know if it would be useful to any of you guys but I thought it was cool to check out. Always brew to the end. If you are very discouraged, bottle to plastic soda bottles. Every batch is an experiment. Document your results, don’t forget the lesson, and move on. Although I have sanitised my equipment thoroughly when i have made brews, I often wonder why since we add tap water which is not sterile, so why bother, can someone shed light on this?